A new anti-Islamic film ‘The Innocence of Muslims’ has been released in America. Unable to control their venom and hatred for Islam, the kuffar have once again unleashed a vicious attack on our beloved Prophet صلى الله عليه وسلم. Sam Bacile, the film’s creator is not the first to produce a drama insulting the Prophet Muhammad صلى الله عليه وسلم. In 1889 Henri de Bornier, a French poet and dramatist wrote an anti-Islamic play called Mahomet. Even though the Ottoman Caliphate was in a declined state and dubbed the ‘sick-man of Europe’, the French Prime Minister Charles de Freycinet banned the play in 1890 after opposition from the Caliphate. After failing to defeat Islam and its noble values intellectually all the west has left are insults, lies and fabrications. These attacks will ultimately fail. They will strengthen the believers and they will generate greater interest in Islam among the non-Muslim populations in western countries who are embracing Islam in greater numbers. 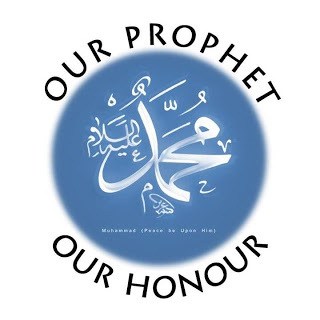 A future Caliphate will use all its political, economic and military resources to protect the honour of the Prophet Muhammad صلى الله عليه وسلم and all the other Prophets including Adam, Noah (Nuh), Moses (Musa) and Jesus son of Mary (Isa ibn Maryam), peace be upon them all.